The introverted Jungian functions (Ti, Ni, Si, Fi) can be associated with the subjectivity of the individual. They gather their information or make decisions from looking within rather than without. Because the introverted functions are focused within the individual, they can be said to be more intense or of greater concentration. The extraverted functions are more extensive and distributed. They don’t focus on any one thing or person for too long, preferring to move on to something new. We might liken the introverted functions to a concentrated drop of ink and the extraverted functions to that same drop dissolved in a glass of water. Or, we might liken the introverted functions to condensed bodies of matter with intense gravitational effects, such as the state of things just prior to the Big Bang. The extraverted functions (Te, Ne, Se, Fe) might be compared to our expanding and expansive universe, one in which there is a great deal of space between entities. If the introverted functions are thought to involve intense contraction, the extraverted functions involve a state of constant expansion. In this post, we will compare and contrast the introverted and extraverted functions, exploring how these introverted and extraverted characteristics apply across the various functions. Extraverted Thinking (Te) breaks the world down into parts, measures and labels those parts, and then works to find ways to rationally control things according to that understanding. It contributes to an ever-expanding network of data, facts, rules, protocols, and procedures. For Te types, the world will continue to be irrational unless we work to objectively understand it and construct standards for operating according to that understanding. They believe that such rules and standards need to be explicitly spelled out in order to avoid ambiguity or human error. Just as Te multiplies rules, labels, and protocols, Extraverted Intuition (Ne) contributes a breadth of connections and possibilities. 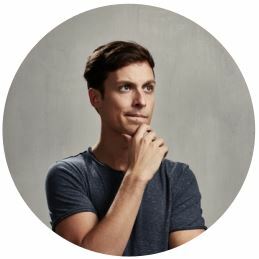 Since the world, from the Ne perspective, is teeming with infinite potentials and possibilities, ENTPs and ENFPs can seem distracted, fickle, and non-committal. They are dabblers, dilettantes, and seekers. Rather than diving into depth, they skim the surface, feeling that there is too much ground to cover to get hung up on any single subject area. Moreover, because Ne is a divergent function, ENPs who avoid serious employment of their auxiliary Judging function (Ti or Fi) may fail to develop a unified theory that connects the myriad of disparate patterns they encounter. Instead, an ENP might suggest that the world is just too complicated or contains too many variables and contingencies to discern any universal or metaphysical laws. One can see this de-emphasis on the metaphysical in favor of more contingent or practical truths in William James’s pragmatism, for instance. Just as Ti is skeptical of and resistant to Te methods, Introverted Intuition (Ni) is leery of the ways and operations of Ne. 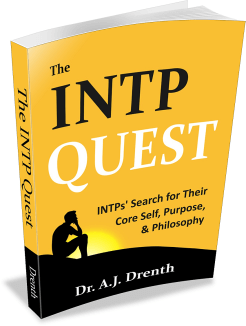 Just as ITPs may see many ETJ rules or formalities as unnecessary or ultimately unhelpful, INFJs and INTJs may see ENPs as wasting lots of time and energy in their formulation of new theories or hypotheses at every turn. The reason for this is that Ni is disposed to finding universal patterns that can explain a host of others. The notion of a “holographic universe,” for instance, suggests that the information about the whole can be found in each part, no matter how small. The phenomenon of fractals might also apply here, which are said to appear “the same from near as from far.” By working to understand these foundational, repetitive patterns, INJs are apt to feel that their approach is more efficient and efficacious than the Ne approach. ENPs, in turn, may find Ni approaches too constricting or narrow. Since the world, for ENPs, is ripe with new possibilities, the thought of trying to limit or constrain those possibilities may hold little appeal, especially early in their development. Like ENPs,Extraverted Sensing (Se) types (ESTPs and ESFPs) are compelled to experience the world in all its diversity. They are lovers of sensory and material novelty. They enjoy new fashions, tastes, and experiences. For ESPs, the Si approach is likely to seem overly conservative and mundane. Introverted Sensing (Si) types (ISJs), by contrast, feel it unnecessary to chase new sensory experiences or consume excessive material goods. 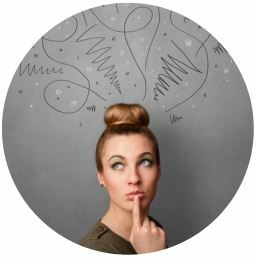 Instead of buying new, ISTJs and ISFJs try to make do with what they already have, using their resourcefulness to meet whatever new needs may arise. They generally feel that past experience (Si) has provided an adequate foundation for them to dutifully live out their lives with a sense of confidence and conviction. ENFJs and ESFJs use Extraverted Feeling (Fe) as their dominant function. Like the other extraverted functions, Fe is broad and extensive. EFJs seek a breadth of interpersonal influence and connections. The enjoy having opportunities to meet, guide, and support others. INFPs and ISFPs, both of whom use Introverted Feeling (Fi), do not seek broad interpersonal novelty. Instead, IFPs develop strong attachments (Fi) to a smaller number of people, animals, or interests. Like the other introverted functions, Fi forgoes extensiveness in favor of intensiveness, breadth in favor of depth. IFPs may spend much of their time refining their Fi values and worldview through contemplation or their Fi tastes through creative engagement. While EFJs refine their Feeling function by constantly connecting with people, IFPs do so in more introverted ways. 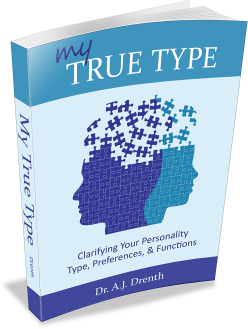 What may be most interesting is the fact that each personality type is comprised of both introverted and extraverted functions. Therefore, none of us will exhibit purely introverted or purely extraverted behaviors. Granted, those with a dominant introverted function will display more introverted tendencies, but these will be complemented by characteristics associated with their extraverted functions. 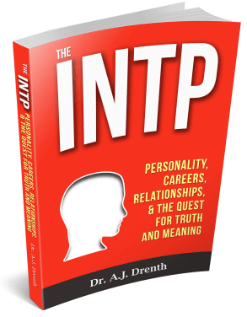 INTPs, for instance, combine intensive Introverted Thinking (Ti) and Sensing (Si) with extensive Extraverted Intuition (Ne) and Feeling (Fe). This, of course, creates an ongoing tension within each personality type, as competing needs and desires vie for primacy. The challenge, then, is to find ways of optimally utilizing and balancing these opposing forces, both individually and collectively.